Children show off their dance moves during a Children's Day party at Government House in Bangkok. Children's Day is a big deal in Thailand. Businesses all over the country roll out the red carpet for the youngest consumers (and their parents), government offices throw open their doors to explain the inner workings of government to their youngest constituents (and their parents) and the military opens its bases across the country to show off the latest military hardware to their future conscripts (and their parents). 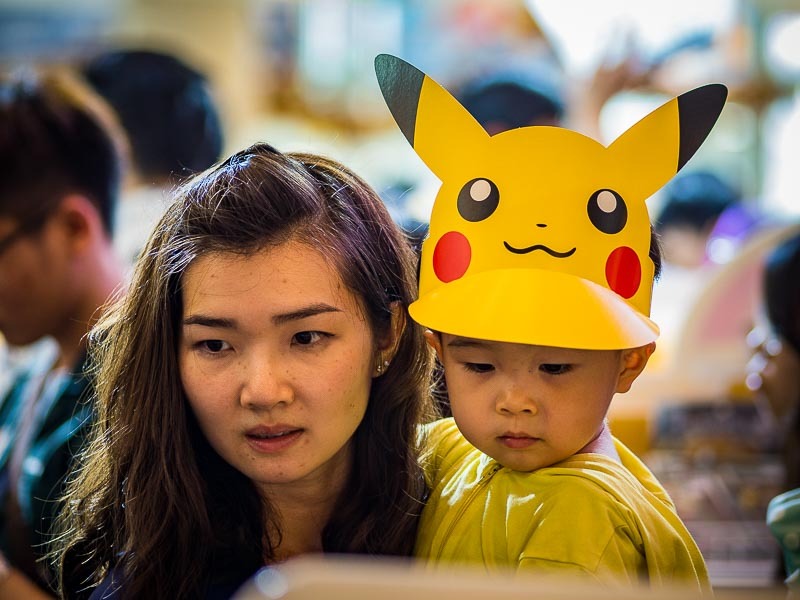 Shoppers at Paragon look for Pokemon merchandise. The last couple of years I've gone to Government House (the office of the prime minister) and the 2nd Cavalry Division Army Camp to photograph the day. The Prime Minister opens the Government House soiree with a ribbon cutting then spends some time with the kids. And at the 2nd Division, one of the Thai army's elite units, the kids get a chance to play with the latest assault rifles and machine guns and climb on tanks and helicopters. Gen Prayuth Chan-O-Cha, the Prime Minster, spars with a high school student in front of Government House. 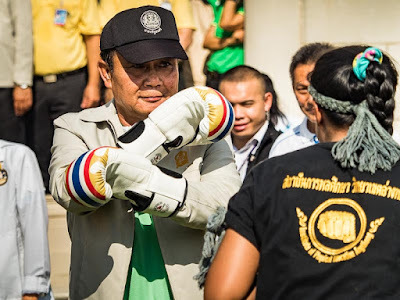 The Prime Minister, who has been accused of having a quick temper, used this year's Children's Day to soften his image. 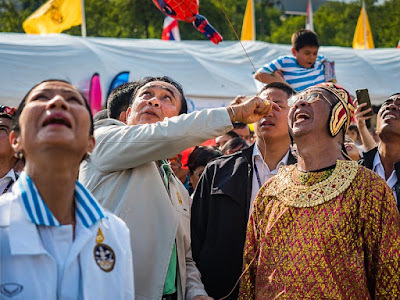 He flew a Thai style kite, sparred with students after a martial arts demonstration and showed off his office. 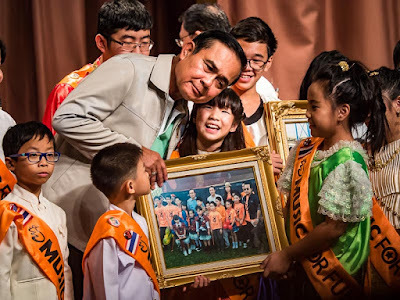 It was not that different from the way politicians everywhere interact with kids. And accepts a gift from children after making a speech. 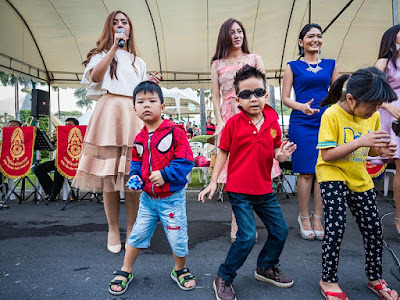 Over at the army base, children stood in line to handle the Thai army's latest assault rifles and machines guns and climb around on tanks and helicopters. 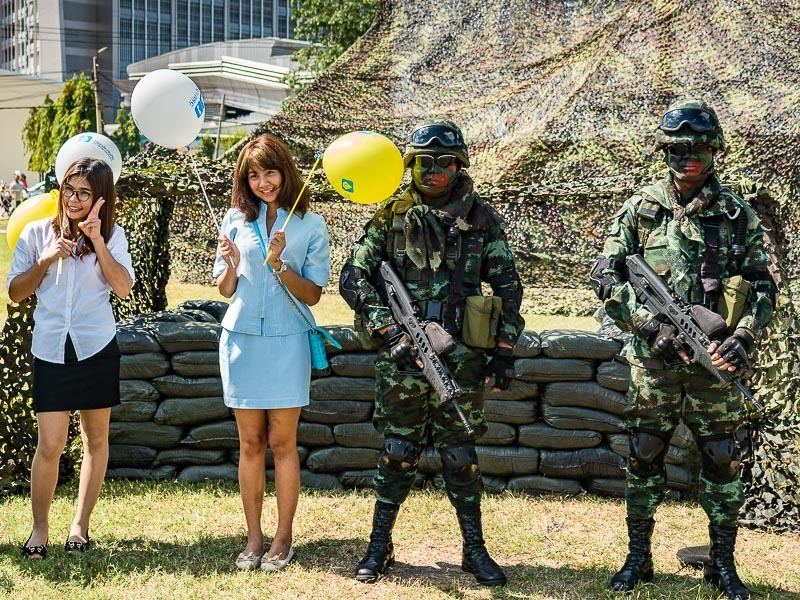 Thai special forces soldiers posed for photos with children and adults. 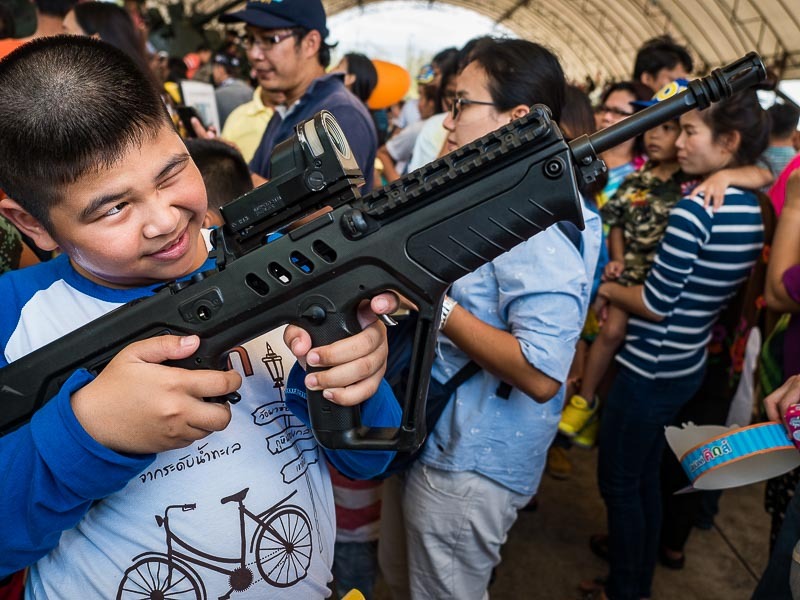 A child handles a Tavor, an Israeli designed rifle. Thailand is replacing its M16A1 rifles with Tavors. While young women pose with Thai special forces. There are more photos from Children's Day in my archive or available from ZUMA Press.